Throughout the weekend you'll see history come alive in various ways, all thanks to those who honor centuries of Celtic culture. Better yet, you can join in! Hear stories, join a sing along, learn about swordfighting and even prepare for battle against the British! 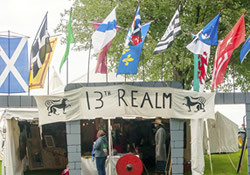 The 13th Realm are re-enactors who recreate European 13th century. Their family friendly demonstrations and activities allow guests to have first-hand experiences with this wonderful part of our past. The Jacobite Rebellion (1745-1746), under the command of Prince Charles Edward Stuart, was the last attempt to reclaim the throne of Great Britain & Ireland. This rebellion threw Scotland into such turmoil that it effectively ended the Clan system as it had existed for centuries. As a confederation of living historians, Clann of the Wolfe comes together each year to recreate this period in history and bring it to life for ourselves and the general public. 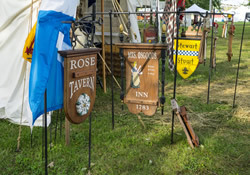 Clann of the Wolfe remains on festival grounds the entire weekend, complete with a full schedule of living history activities with men, women and children. 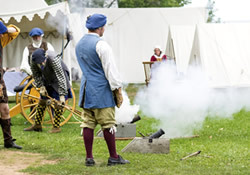 Visit the camp to see the activities of daily life during the 18th century: food preparation, spinning, tea, ceremonies, open fire cooking and more. 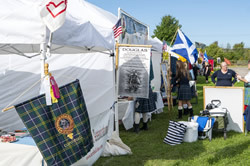 MacFarlane's Company is a volunteer organization that uses Living History presentations to teach people, primarily about the rich history and culture of Scotland and the Scottish diaspora in North America. By their efforts, MacFarlane's Company raises funds to support the outstanding stewardship and preservation work done by The National Trust for Scotland. Direct from The Sterling Renaissance Festival, these invaders are here to share in the fun and joviality of the Ren Faire with our guests. You never know where you’ll meet them, but they’re sure to make your visit more wonderful. They may even get you involved in their fun as well! The tree's origins come from old traditions in Celtic nations; variations include Fairy Trees, May Trees, Votive Trees, and more. Visitors add their wishes as offerings to local saints, deities or wee folk, in hopes they can receive help or guidance towards their wish or prayer. At the end of the weekend all wishes are ceremoniously sent to the heavens with help from the Fire Sculpters, where we hope many receive help in coming true! The History and pride of the Scottish people thrives in the descendants of the original families of Scotland and Ireland, known as Clans. They honor their ancestors by celebrating the traditions and heritage that have held their families together for generations. 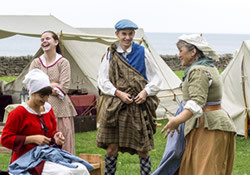 A visit is highly recommended, as the living history of Clan Village cannot be missed! 2019 Clan List Coming Soon! 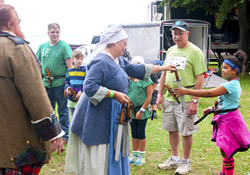 Celebrating history and heritage of the Celts is a priority for the Niagara Celtic Heritage Festival. The Celtic College hosts a series of cultural classes and lectures designed to educate and enlighten you. 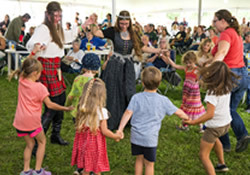 Here's your chance to learn first-hand about bagpipes, Celtic poetry, genealogy and more- new topics every year! Make sure your visit includes one or more of these FREE classes! Niagara Celtic always hosts a wonderful array of demonstrations and hands-on experience with a variety of animals, including breeds direct from the British Isles. 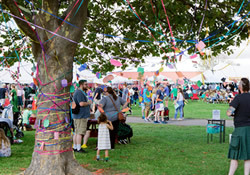 Kids of all ages can find endless fun throughout the grounds from the music to the food, demonstrations to attractions. We've made it easier for your to plan your outing by highlighting amazing family-friendly activities you won't want to miss! 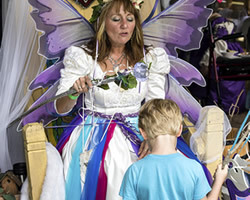 Each year the Fairy Queen searches for new Knights. Do your kids have what it takes to complete the quest and be knighted? This fun hunt is always a highlight of kids' adventures at Niagara Celtic. 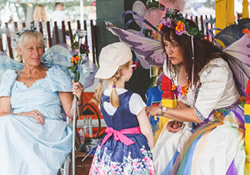 At various times each day, kids are delighted to meet the Fairy Queen and other visitors from the Fairy Realm. Your children will remember these special moments long after you leave. 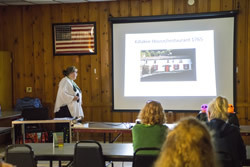 MacFarlane's Company uses Living History presentations to teach people, primarily about the rich history and culture of Scotland and the Scottish diaspora in North America. Their fun hands-on activities always put smiles on the faces of those willing to become soldiers, test their strength or smarts...and more! Storytelling is as important today as it was during the time of ancient Celts. 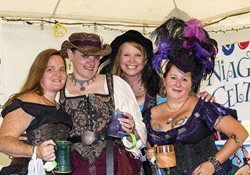 Enjoy tales of fantasy and history, covering anything from Celtic to local heritage. 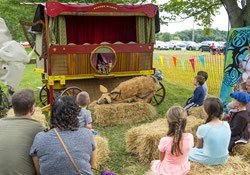 Whether it's a fanciful teller of tales, an inventive puppet show, or even a talking tree, make sure to spend a little time relaxing with our storytellers. The Dagda, a giant and powerful Celtic god, watches over the faire held in his honor. Filled with fantasy, history and plenty of fun, you may feel as though you've stepped into another world. The Dagda Faire is included with your admission, so don't miss this unique chance to visit a festival...inside another festival! 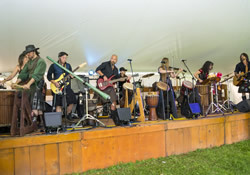 Music is alive at the Dagda Faire! The Dragonfly will host a variety of musical acts, all with the goal of keeping the faire's atmosphere full of fun and excitement! Come one, come all! See the wonders of puppetry and storytelling from yester-years. Our storytellers bring with them wonderful knowledge and skills to delight audiences young and old. Showtimes vary, make sure you check your guidebook on festival weekend.